Gin Lane has been created to bring an enchanting and modern style of gin drinking to The Piece Hall in Halifax, giving all gin lovers a place to meet, chat and drink their favourite gin. At its core, gin is a spirit flavoured with juniper berries but behind such a simple profile is the world’s most complex spirits and is fast becoming one of the most loved. We offer a wide range of gins to give you the ultimate, unique experience with dry, citric & spiced and Yorkshire gins including, Sipsmith, Masons, Slingsby, Divine and Eden Mill to name but a few. The bar and lounge accommodates our beloved gin drinkers from far and wide with our ultimate goal of putting The Piece Hall, Halifax, Calderdale and indeed the county of Yorkshire firmly on the map for this ever-growing trend, with over 100 different varieties available. Whilst our retail shop, located directly above the bar contains over 200 varieties of the juniper led spirit. 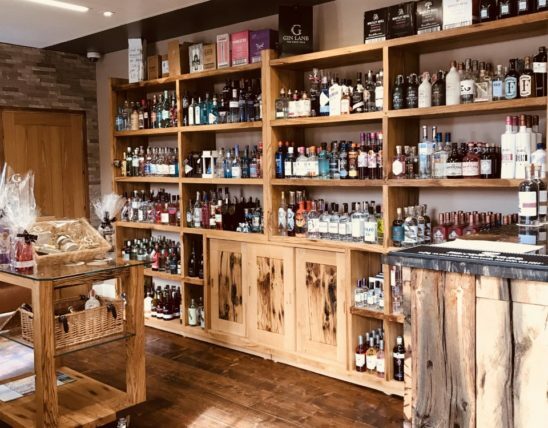 Showcasing gins from all around the globe with Yorkshire gins taking pride of place in their own separate cabinet.. With bespoke hampers, gift wrap and vouchers also available. 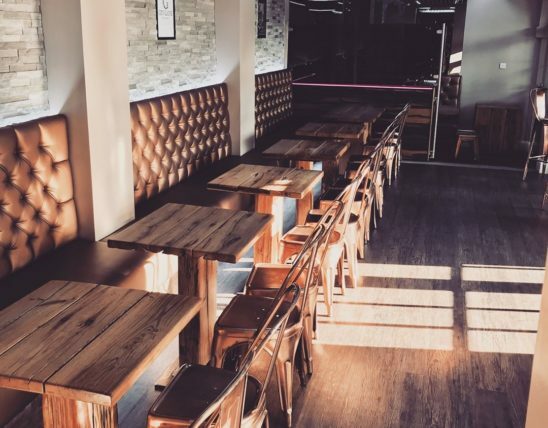 We want to create a unique experience for everyone who steps through our doors, offering the widest array of gin accommodating to everyone’s taste. Step in to Gin Lane and don’t just drink gin, taste it. Along with gin, we also offer a variety of prosecco and cocktails, a range of liqueur coffees and a premium lager on draft and accompanying our specialist lines, we offer a range of spirits, cocktails, wines, bottled beers and ciders. Gin Lane is diverse, yet speciality-focused. Our baristas are highly trained to serve you only the best coffee to help you get your caffeine fix with locally sourced, high-end coffee along with other hot drinks and a range of healthy and nutritious smoothies. In 1751, English artist, William Hogarth, created ‘Gin Lane’, an illustration that was designed to depict the evils of gin-drinking. Published as a pair, contrasting against his other artwork, ‘Beer Street’, both were part of a campaign to support what would become the Gin Act, the uncontrolled production and sale of cheap gin. With both prints now hanging in the Metropolitan Museum, New York, we have reimagined Gin Lane and brought it to life at The Piece Hall in Halifax, bringing all gin lovers together, offering a unique experience with our impressive line of gin.